I do not love many things. This can largely be blamed on the fact that I am a cynical monster, subsisting on a diet of negativity and sadness, pessimistically roaming through life, crushing earnest appreciation in my wake. However, when I love, I love HARD. One of the subjects of my pure adoration (or obsession — whatever you want to call it) is the darling of the wannabe-indie middle schooler known as Vampire Weekend. I have loved them from afar for six years, BECAUSE THEY HAVEN’T RELEASED ANY MUSIC IN SIX YEARS. I love cookies. This fact probably forms one of the cornerstones of my personality, alongside my semi-nocturnal sleep schedule and my hatred of the B line. Another sad fact of my life is that I am debilitatingly lazy when it comes to cooking. Meals I have eaten this week include: half a bagel; three mandarin oranges, paired with a handful of tortilla chips; one of those Chewy granola bars that are basically candy. All of this means I never have cooking and/or baking ingredients on hand, because they would absolutely expire before I used them up. Which means I am forced to seek out a homemade-esque cookie alternative elsewhere. That is where the grocery store comes in. Most grocery store chains have some sort of eerily identical allegedly homemade cookie, in the following varieties: chocolate chip, M&M (or whatever generic word meaning M&M suits your fancy), oatmeal chocolate chip, oatmeal raisin, sugar, peanut butter, brownie. In an astonishingly short amount of time, I have managed to try each and every one of these cookies. Except oatmeal raisin. Oatmeal raisin cookies are simply granola bars. Now, it’s time to rank them. This will be done through a rubric based on chewiness (a must), overall flavor (obviously), whether they are somewhat gross (an occupational hazard of factory-line desserts), and if I could make quick work of a whole bag. There are very few purely, truly, unambiguously one hundred percent Good things in this world. It is the nature of living. But there are fully good things to be found. That picture of Orlando Bloom delightedly bicycling with a small dog in a makeshift Babybjörn, for instance. Or the cinematic masterpiece Zendaya is Meechee. Three such gifts to humanity are Target, Christmastime, and ridiculous and unnecessary items that cost less than $10. As Justin Bieber once said, “It’s the most beautiful time of the year”: the time when the Target dollar spot is transformed into a shrine to yuletide. The only thing that could make these items better is a full, thoughtful, very serious review. I hate beginning friendships, but I love maintaining them. There are few things as great in this world as talking to someone you may not have spoken to in a while, but whom you know you could pick up with like no time had passed at all. In fact, probably only two things are better: warm cookies, and that occurrence when you get inside and just as you get in the sky opens up and boom torrential rain, but it couldn’t get you, because you are more powerful than nature itself. Anyway. It’s not always easy to keep up with people who aren’t physically near you, but it is worth it, both because it’s nice and it makes going home for the holidays a hell of a lot less awkward. You try meeting up with your old group of friends if you’ve ghosted them for a semester. Not cute. Here are five tips to avoid that direness. When it comes to school, I have precisely two modes. Either I am living my life as if I have never before attended school, as though for all intents and purposes I am the human equivalent of a tumbleweed, drifting through life with no burdens or responsibilities; or I am a sleepless zombie editing the same sentence of a paper that isn’t due for three days until the sun rises. There is absolutely no in between. Since high school, I have dedicated all of my energy to making sure that I do not revert into Anthropomorphic Tumbleweed Mode, which means it’s been all school obsession all the time. In the hopes of preventing a mental breakdown or two, I’ve been trying to chill out a bit. Here are some of the ways to maintain that balance. I am terrible at making playlists. I have weird (or nonexistent) taste in music, so it’s useless to craft anything more specific than the seven-hour “songs I like” playlist that is practically the only thing in my Spotify. Also, it’s boring to me to sort songs, which is why my sole playlist still contains songs I liked in 2015. And why I spend more time skipping songs than listening to them. Luckily, there is no need for me to force myself to be better at the fine art of playlist-making, because movie soundtracks exist. Movie soundtracks make for a better-curated, more aesthetic-y, overall more fulfilling and inventive music listening experience than any playlist you could make yourself. To prove this point, I have collected here some of my absolute favorite movie soundtracks. Click the album art for a link to the music! Grocery shopping is one of the worst activities in the world, and I am incredibly bad at it. I always put it off until the last possible minute, until my food stores are down to four baby carrots and a handful of animal crackers. I always end up shopping when I’m hungry, which is a baseline no-no. And I always get unbelievably bored while I’m doing it, ending up tossing things in my basket to speed up the process until my receipt looks like someone set an eleven-year-old loose in the cookie aisle. In my endeavors to make this errand more tolerable, I have come up with a rubric for grocery store perfection. Here are six grocery stores in the Boston area, judged for price, location, snack selection, and overall vibe – on a scale where one is bad and five is utopian. My roommates and I are very different. We’re from different parts of the country; we have different majors; we’re different ages; we probably have different favorite colors and stuff. I’ll do a mini survey on that last one and get back to you. The main things the three of us have in common are that we like movies, and we like each other. These may be so basic that they sound like what a sixth grader in beginner’s French would say in an oral exam: My name is Jacques. I like to watch movies and be with my friends. But still – they get the job done. We’ve reached that time of year again. Tis the season of apocalyptic cold, delicious hot beverages, and songs that are only played for one month out of the year. But most importantly, it’s time for yearly wrap ups. There are approximately one billion book awards. It is genuinely impossible to keep track of them all. So for anyone who makes it their business to read all of the variously-determined best books of the year, I’ve made a compilation of the big winners. 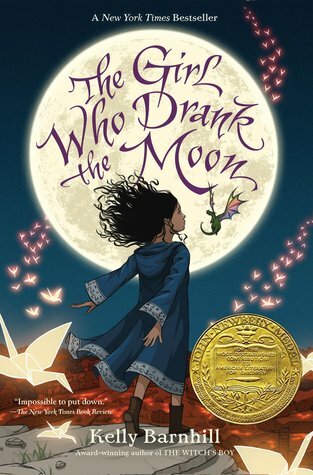 This list includes the prestigious (the National Book Award; the Pulitzer Prize), the popular (the Goodreads Choice Awards), and those that are a mix of the two (the John Newbery medal; the New York Times best books). 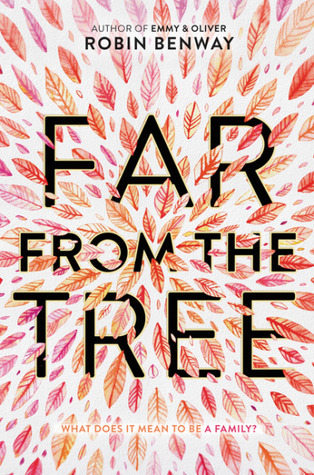 Find the twelve best fiction, nonfiction, young adult/children’s, and poetry books of the year below. Jesmyn Ward wrote a book in 2013 and it won the National Book Award. Then she took a quick four-year breather, wrote a book this year, and won the National Book Award again. She is the most talented and successful person in the world, probably. 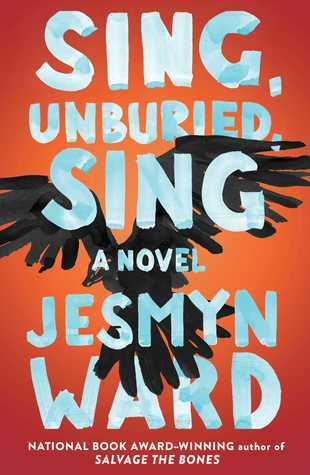 Sing, Unburied, Sing is the story of a Southern family, as well as the stories of race, America, struggle, and hope. The Pulitzer prizewinners are announced in April, so unless you spent the spring living under a rock you have probably heard of this one. 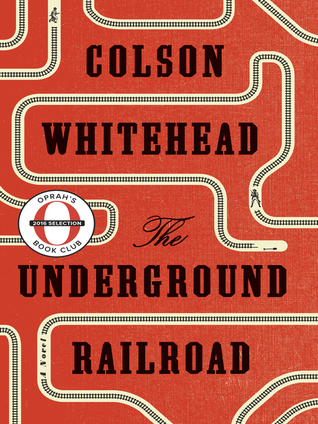 The Underground Railroad follows the escape of two slaves in an altered history in which the underground railroad is a literal railroad underground. It explores questions relating to race, history, and oppression. If I’ve learned one thing from compiling this list, it’s that people love stories about families. 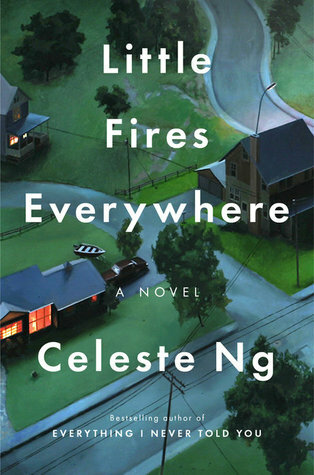 This book follows a few of them, as one couple’s attempt to adopt a Chinese-American baby divides an entire community. Lots of gossip and drama and secrets in this one. It is suuuuper not surprising that this book would be an awards darling this year. 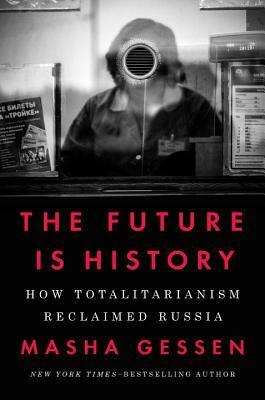 Written by Vladimir Putin’s biographer, The Future is History follows Russia’s descent into autocracy as told through the lives of four people with great aspirations and great expectations upon them. It’s a cautionary tale, in other words, and people a) are freaked and b) love it. As if 2017 weren’t Russia-centric enough. This guy’s a sociologist at Harvard and a MacArthur Genius grant recipient, so, uh. Reliable source. 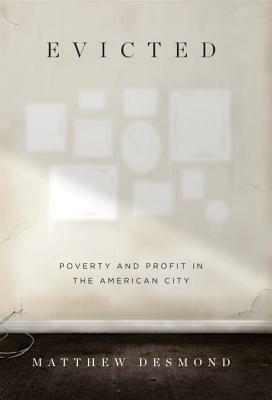 Desmond follows eight families in the poorest parts of Milwaukee and discovers the role that eviction, and the high housing costs that cause it, plays in modern American poverty. Hard to believe this is even in the same realm of existence as the prior two, but yes. They are the same genre. 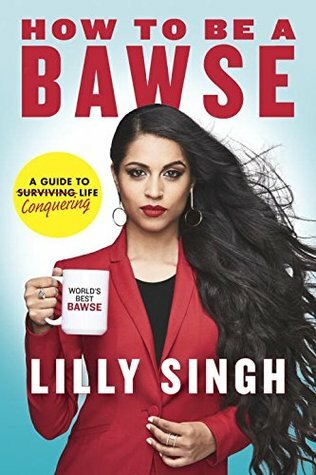 Written by YouTube star Lilly Singh (username ||Superwoman|| – do not forget the very important vertical lines), How to be a Bawse is a self-help book that promises to help you become just as confident/goal-reaching/smiley as Lilly herself. In other words, a bawse. So go get those millions of YouTube subscribers – they’re yours by right. Benway’s newest is a young adult contemporary following three biological siblings adopted into different families. As one puts her own baby up for adoption, she decides to track down her biological brother and sister, launching all three into questions of what family really means. Now, we must all say a silent prayer to whatever higher power we may believe in/the Internet/those who cast a vote/the entire literary industry that this book won. Instead of John Green. That man’s life is full enough and I am grateful this award went to a book that MEANS SOMETHING. 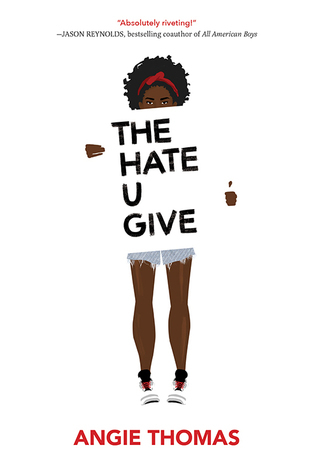 Inspired by the Black Lives Matter movement, The Hate U Give follows Starr, a sixteen-year-old black private school student who witnesses the death of her unarmed friend at the hands of a police officer. 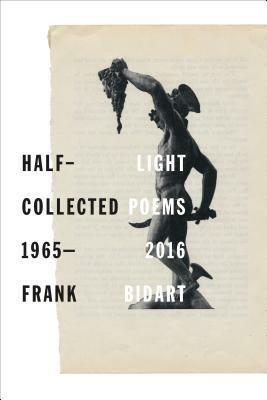 Half-Light is a collection of all of Frank Bidart’s poetry, written over the course of four decades. As a poet, Bidart focuses on the human voice in all its diversity, allowing even the most terrible the same empathetic understanding. Bidart concludes the collection with a new volume, one filled with ruminations on his own life. 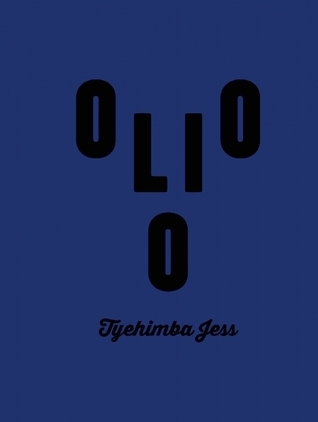 Tyehimba Jess’s Olio weaves fact and fiction to detail the lives of African American performers from the Civil War up to World War I. The result is a look at the struggles of black artists to resist minstrelization, and the resilience it took to keep going. Unsurprisingly, the mega-popular poet won the most popularity-oriented award. 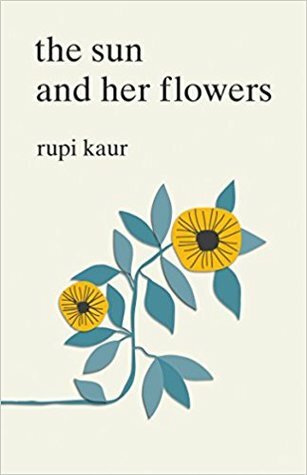 Rupi Kaur is likely the most known writer within the genre known as “instapoetry” or, more colloquially, “Tumblr poetry.” Her second volume, The Sun and Her Flowers, focuses on themes of growth, ancestry, and home. It’s November, and you know what that means. The yearly smackdown has arrived. Once more, the weirdly passionate section of the American people has been screaming on the Internet about the respective merits of Thanksgiving and Christmas. When the clock strikes midnight on October 31, some instantly hit play for the first time out of hundreds on Mariah Carey’s seminal hit “All I Want for Christmas Is You.” Others, meanwhile, plead for some well-deserved attention to be directed to Thanksgiving, apparently completely ignorant to the fact that there are exactly zero Thanksgiving-themed Mariah Carey songs. Some people are still talking about Halloween, because people who love Halloween never stop talking about Halloween, but that’s not even a national holiday so it’s completely out of the picture anyway. Nope x infinity. Nooooooo thank you. Goodbye Christopher. Indigenous People’s Day or bust. Labor Day will never escape its well-deserved bad rep. It was drilled into every child in (most parts of) America for twelve years: Labor Day is the last day of summer break. Labor Day is for moping, waiting in long lines in Office Depot, and the return of that good ol’ it’s-Sunday-night-at-seven-pm-I-wasted-the-weekend-I-have-a-whole-week-ahead-of-me anxiety. Every four years is BS for a holiday, and also nobody gets off from school or work for this, except perhaps some people who work in certain sectors of Washington, D.C. Also an inauguration can be reaaaaaaal hit or miss. To say the least. There’s a lot to unpack when it comes to old GW’s b-day. First, this is the only guy with a birthday marked with a NATIONAL DAY, which is a baller move. But what is really hilarious is that this isn’t actually on his birthday, but the third Monday in February?? Whose idea was that? What purpose does this serve? I have no answers, but this made me giggle and that means it’s getting a boost in the rankings even though it offers absolutely no festivities. Who cares about New Year’s Day? Do people even do anything? New Year’s Eve is where it’s at and we all know it. I guess it’s nice to have the day off for recovery from the night preceding, but that’s not enough to rescue this day from its total boring-ness. Memorial Day is cool because it’s summery. Barbecues and stuff. Also, I guess you can start wearing white again? If you follow societal rules like that and stopped? Not really too sure if that’s an actual thing that people do. Always good to pay respect to our veterans and also get a day off from school in mid-November. MLK Day was always really awesome in elementary and middle school. In elementary school the second grade always put on a play (it was two-for-one for MLK Day and the approach of Black History Month) so we got out of class for an assembly. In middle school we watched My Friend Martin a bunch of times. Anyway this day is very important and it’s pretty rad and extremely deserved that it’s a national holiday. Summertime! Fireworks! Barbecues! Those popsicles where the top bit is cherry and the middle is lemon and the bottom is blue raspberry! Fourth of July is great and involves a lot of red and blue food dyes which is always extremely fun. I am a huge fan of festivities. That is why this list is essentially ranked based on amount of festivities granted to each day. Christmas is, bare minimum, a month-long holiday. There are entire genres of songs and movies dedicated to it. Every self-respecting season of television has a holiday episode. There are one million recipes that are Christmas-exclusive. Also I love cookies and there is no more cookie-centric holiday in the world. We wish we could look as cool as @lizlavender, too. Check out our story for behind the scenes of all our models on today’s shoot! We had a blast pretending to dance in the rain tonight. Check out behind the scenes of this shoot on our story! Interested in joining our team for the semester? We are hosting an info session TOMORROW NIGHT at 8pm in L151 in PRow. Come and learn more about Atlas Magazine! We are looking for writers, photographers, stylists, designers, and copyeditors, and anyone looking to join creative, art, hair/makeup, and marketing teams! Click the link in our bio to apply, and we hope to see you at the info session tomorrow night!